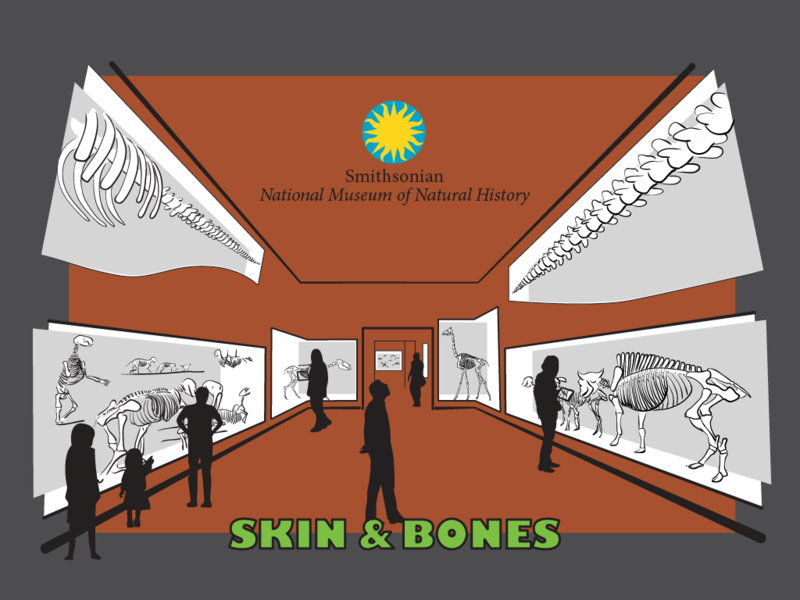 The Smithsonian’s National Museum of Natural History released a new mobile app “Skin and Bones” Jan. 13. 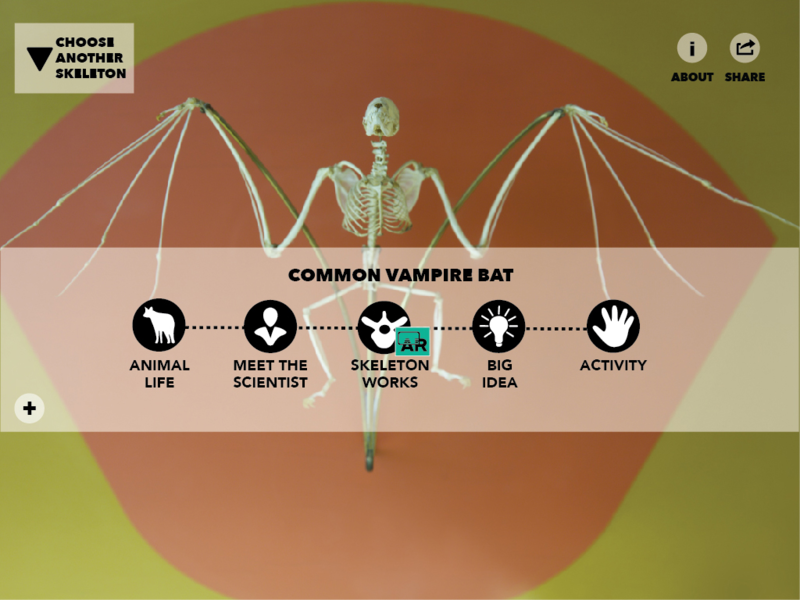 The free app is available for download in the App Store and reinvents how visitors to the museum can experience select specimens on view in its historic “Bone Hall,” an exhibit of almost 300 vertebrate skeletons. In the app, 13 different skeletons on display come to life through the advanced technologies of 3-D augmented reality and 3-D tracking. The app adds details to many of the specimens to show how they move or look in life or how their skeletons work. After installing the app on their mobile devices, users simply choose the animal they are interested in from a map of the hall. Each animal choice has a menu of immersive audiovisual experiences, including videos, animations and activities. When users choose a menu item marked with ‘AR,’ they direct their cameras at the specimen and the augmented reality triggers 3-D graphics. Visitors can watch an eastern diamondback rattlesnake skull sink its long fangs into a virtual rodent or play a game that challenges them to identify bat species by their calls. Other videos explain ideas in ecology, biogeography, functional anatomy and evolution or introduce Smithsonian scientists. Free Wi-Fi in the “Bone Hall” will allow visitors to seamlessly experiment with each of these features. “Skin and Bones” took two years to develop and was made possible with a grant from Booz Allen Hamilton. The 3-D modeling work took place at the museum. Virginia Polytechnic Institute and State University was instrumental in developing the supporting animations. Few museum exhibits in the world have survived across three centuries or have been gazed upon by tens of millions of visitors. 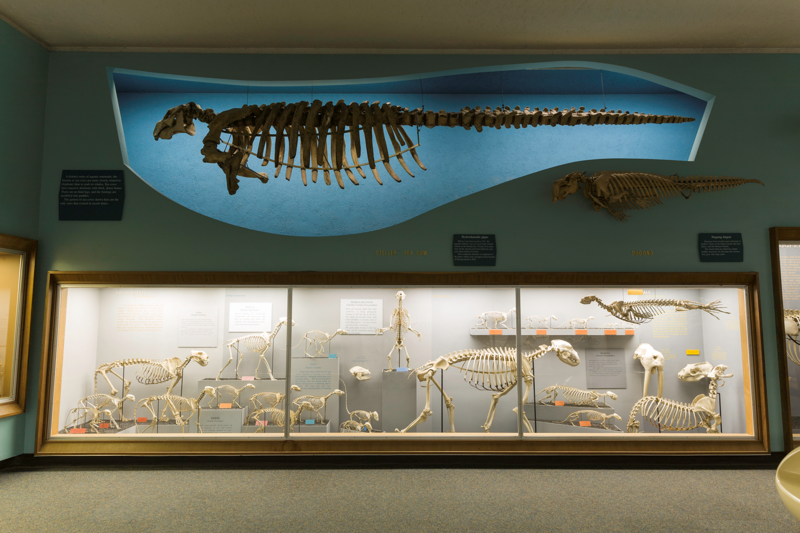 The “Bone Hall” is one of them, a grand comparative anatomy exhibit that opened the Smithsonian’s first museum in 1881. 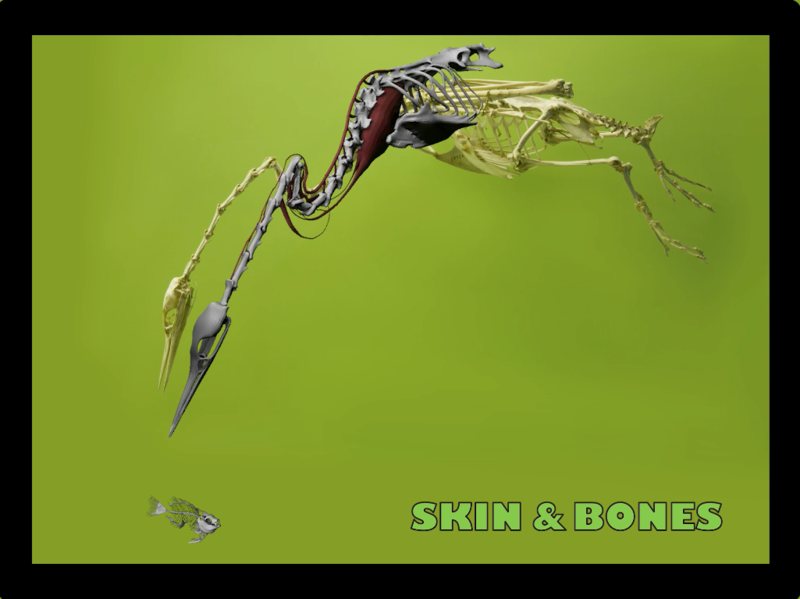 In this animation of a bird skeleton, the “Skin and Bones” mobile app shows viewers how a hungry Anhinga accelerates its long neck forward to spear unsuspecting prey. 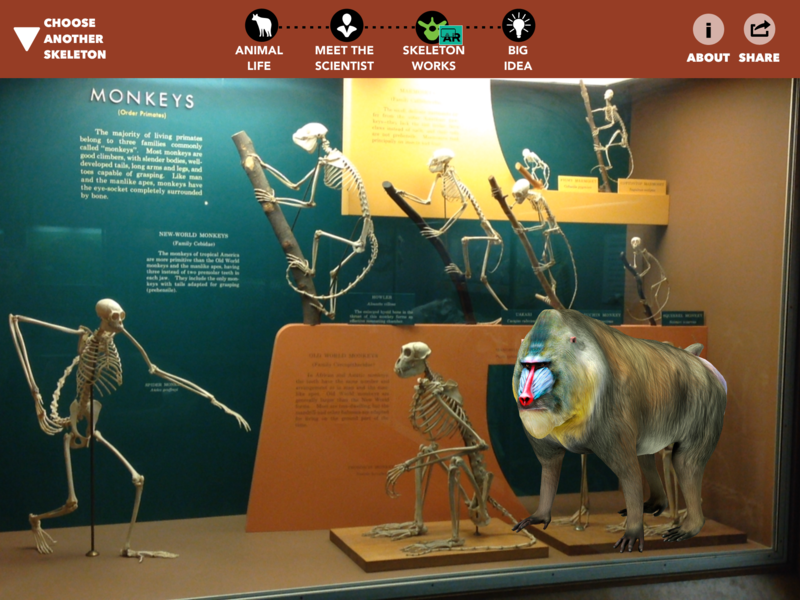 On Jan.
Augmented reality features in the “Skin and Bones” mobile app transform a mandrill skeleton into a lifelike primate, colorful snout and all. On Jan. 13, the Smithsonian’s National Museum of Natural History released the free app, which is available for download in the App Store. Thirteen different skeletons on display in the “Bone Hall” come to life in the “Skin and Bones” mobile app through the advanced technologies of 3-D Augmented Reality and 3-D tracking. On Jan. This splash screen welcomes digital users to the “Skin and Bones” mobile app and invites them to rediscover how select specimens on view in the Smithsonian’s historic “Bone Hall” look, move and function in life. On Jan.
After installing the “Skin and Bones” app on their mobile devices, users simply choose the animal they are interested in and pick from a menu of immersive audiovisual experiences, including 3-D augmented reality (AR), videos and activities. On Jan.